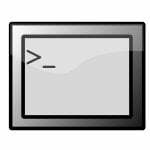 Cron allows Linux and Unix users to run commands or scripts at a given date and time. You can schedule scripts to be executed periodically. Cron is one of the most useful tool in a Linux or UNIX like operating systems. It is usually used for sysadmin jobs such as backups or cleaning /tmp/ directories and more. The cron service (daemon) runs in the background and constantly checks the /etc/crontab file, and /etc/cron. */ directories. It also checks the /var/spool/cron/ directory. You need to use the crontab command to edit/create, install, deinstall or list the cron jobs in Vixie Cron. Each user can have their own crontab file, and though these are files in /var/spool/cron/crontabs, they are not intended to be edited directly. You need to use crontab command for editing or setting up your own cron jobs. Do I have to restart cron after changing the crontable file? No. Cron will examine the modification time on all crontabs and reload those which have changed. Thus cron need not be restarted whenever a crontab file is modified. /etc/cron.d/ Put all scripts here and call them from /etc/crontab file. Above is easiest way of creating one. and how to execution this file?? saving the above file will help as it will excecute on first 15th min of every hour. if you want it to execute every 15 minutes. No like they said above it should be */15 * * * * /path/to/php_script the 15,30,45,00 makes a mess of your crontab. Using Puppy Linux at the moment. How does one check to see if the cron daemon is running.? I have a file that works from the command line. But so far nothing I had tried works. In /var/spool/cron/crontabs/dwj [ my crontab file which was created using Puppy’s GUI ‘gcrontab’ within their control panel, bottom selection.]. 6 second interval = do the file in field #-6. What else am I missing or do not understand.? TIA for any & all help rendered. write a cron script which is supposed to run each and every second. for dis u have to write a script at 7:30 first.give this script name to a.sh.then…. designed for such frequent runs. we can run cron job every 15 min using following expression. why doesn’t crontab work for me . I want to fire cron job at the interval of every 10 minutes, how to write entry in crontab. Is it possible to have cron run something on the second Saturday of the month? Also, is it possible to have cron run somthing 2 days prior to the end of each month? Does the cron job have to reside in /var/spool/cron/crontabs, or can the cronjob reside anywhere? Yup it is the default location under /var file system. You can change this location by recompiling software. Add additional logic in /path/to/script.sh to detect First Sat of each month. We can do this by the following also.. However no need to reply on this so old, but only for the new comers.. This Site provides really great info. for newbies and the masters too. pankaj can u tell me how to schedule second saturday of every month and explain how job run on every first saturday above cronjob. command will be run at 2pm Dec 29th in addition to every Thursday in December I believe. But what i need the time sequence is 8.30, 13.30, 18.30, 1.30, 6.30, 11.30, 16.30, 21.30, 2.30… which means that fire should occur for the specified start time and every 5 hours after that. Can anyone help me with the cron expression to represent the same. Thanks a lot in advance. Since CRON cannot be used to schedule tasks by the second, what can be used/written/done to perform tasks as such? but after 11:00 clock also its not running…. I checked,Cron shell is running……then y that command didnt run.. When i try to run crontab i get the following error message “failed user root parsing”. And the cron is not executing anything. The command crontab -l indicates that everything is fine and that i have scheduled a command correctly. cant get cron to work please help! Thank you. I needed some help on scheduling my ntpdate in a virtual linux machine. Can any one help me iam using Debain 3.0 server when iam setup a file for cron job,it was not working. What it does is to log in toe activate.cgi at certain time of the day. By typing the url manually will require a password first and the command is executed. Is this the problem that cause the permission denied ? If this is the case – how can i incorporate the password in the cron command line ? it means at 1:30 morning, the clean_parse_logs.sh script starts running everday automatically and creates a clean_parse_logs in “/home/logs/” and then adds the information status of runing script “clean_parse_logs.sh” into the file “clean_parse_logs.log”. i can’t say abt seconds. this will run the script for every min,hour,day,month,year. I want to execute a php file on my webserver (non-unix). I do have a unix server and I want to execute Insert.php on my non-unix server from my unix server. What do I exectly need to type? And is it possible to give an URL instead of a normal Path? Use fcron; which doesn’t wake up every minute to see whether there is a job to be executed. It sees the next time when to wake up and wakes up at the particular time only unless a user edited his fcrontab to wake it up before. It saves resources. The syntax is quite similar but there is some difference which can be learnt by using. it is available in fedora’s repos. submitting the job in crontab is a bit confusing for the beginners. if the crontab file is already existing use crontab -e to add ur job to the crontab. one imp thing to remember is you need to provide all absolute paths in the script which u want to schedule, otherwise u will end up in thinking why my cron job is not running though it is added properly. wow, u r the first one in giving basics steps in how to do that. Thaaaaaank uuuu, not all people are geniuses here!!! I’m new in solaris.I want to create a cron job to delete a temp file in a directory and it run on every saturday of the week. I have created a cron job as cron.txt. Yes, they works with Linux / UNIX as long as your are using Paul Vixie’s crond. Thank you a lot. it is help me a lot. I want to run hourly job. like teletype (u can’t use this option -c -h). I need to set up a cron that runs a script every other Friday. Can anyone help? I use 1and1 hosting. you are using both one to mail the response the first line of the code and on the other hand >/dev/null 2>&1 means stopping the output to forward as mail . use either of them. means to run command every 3rd minute of every hour not every 3 mins …….. Many thanks, it’s help me a lot. but how should I re-write it to run the script from 12 noon to 11:30 pm, every 5 minutes ? I want my script to run this command ( opensipsctl fifo lb_resize 1 pstn 0) if ping fails. Use full path names in cron jobs. i wnt to know how i can schedule backup though crontab. I have a cron job with multiple jobs listed at various times throughout the day. So is it possible to set a MAILTO= Cathy@domain.com prior to her cron job and then set another MAILTO=Scot@domain.com for his cron job? Other scripts/cronjobs with same syntax are working fine. I now have the Mailto working. However, now instead of the fail message “: command not found”, I get a null fail message. Basically, it’s just an email stating the cron job failed, but nothing in the message. Just blank. I appreciate any help in correcting this. Make sure you have correct PATH settings set for your contab. Also, use full path when run jobs via crons. What was happening (and this is where my inexperience comes in) is that the code “2>&1 | mail – s….” was set to send an email everytime the job ran with the subject line ” RE: Scot HPDA Cron Fail”. I was piping that to run everytime (I thought it would only send if it failed.) The “2>&1” code basically states that the email include a standard error message, if there is one, along with any other message. Since there was no error message the code did what I told it to and sent me an email called “RE:Scot HPDA Cron Fail” with nothing in it. The job works as it should. I have decided to remove the mail code and just let it do it’s thing. I ‘m trying to schedule a batch job that will show the disk space occupied of my present working directory at every 15 minutes daily from 2:15pm for the month of June and the output will be mailed to my email id. How can we call php page from CRONTAB in every 5 seconds. I had used this by using sleep funtion with some logic. Script executes for a time and sleeps for 5 seconds for 10 times within 1 minute interval. But the problem occurred is sever gets too busy when I called crontab file like this. So I would like to know how can file be executed in every 5 seconds without any problem? does all the files in /etc/cron.daily folder on a daily basis. Actually i have copied a sh file in this folder yesterday but it did not get executed . As if this file is executed one of my tables in the database gets updated. According to this link the files under /etc/cron.daily should get executed…. i used putty to copy the file from one of the directories in the system to the /etc/cron.daily directory…. Would some permissions be causing it to not execute it. There is no cron.allow file.The cron.deny file does not contain anything. if i put both cronjob in crontab which one will run first? A task should be executed at 1st month of every quarter and on every Sunday at 10:30 am. /tmp/ dir every 1 hour. I am currently doing manually. The directory gets full every few hours due to too many activities on the server. what can i do to automate that? I want to run cron job in every 20 second, so i have created following script. But its not working…. Please guide me if i m wrong………. I am new to CRON command. What I want is to have a CRON job execute myWeb Service which takes two parameters. Maybe I should use a .sh file instead of the whole URL with parameters in the command line. Can someone give me a simple sample, thank you. How to send a request to a webserver all times when i power on my system(fedora) automatically to indicate im online? how to create cron job for running klinkstatus link checker for daily that must send html format output from klinkstatus to a emailaddress. I am using cron jobs.It is working fine.It fetches some links and stores in database. But the problem is when i first run the cron it has fetched 5,000 links per hour.After that it is very slow.Now not even fetching 100 links per hour.What can i od to improve? I need to know how to make a script run every 20 minutes. I want the following to run every 1 hour. Can you please tell me what to do? 1. Immediately after installing a new server one of the things you should do is document exactly what files are suid. As part of your job monitoring a server you will periodically look at what files on the server are suid. A file suddenly becoming suid when it was not originally is a sign that your server has been compromised. What UNIX command will list all files that are suid on the server? What UNIX command will list all files that are sgid on the server? 2. Write a bash script which could be scheduled in cron to run nightly. The script would execute the two UNIX commands from step 1 above. If there is a difference between the original file (listing the suid files on the server) that you created when you installed the server and the file generated when you ran the cron job then you must email the administrator with the details of the differences. If the suid files on the server have not changed, do nothing. Can someone Please help me solve the above two task. I kindly appreciate. I want to run my SAS code everyday at 4:30pm on unix server. can any one help me in creating a cornjob ? how to schedule a job with time 08:45:30 am every day and every month? how to display which are modified time(mtime) between 5 t0 10 days in unix? but my mechine cannot reboot time i set. Can anyone tell me how to run pl/sql jobs in unix. below script is not running on linux, the /bin/sh has been defined in the $PATH. Kindly advise ? I want to schedule a job which will execute only once in life time. Is it possible to schedule it using cronjob. it could be nice if you could write HOW you append in this so-called-editor that crontab is using…. 1)how can i append to the existing crontab file of root with automation? 2)In the end i need to remove this entry at the time of uninstallation of my system? How to set the cron job that runs every week on sunday 10 am. Is the above one correct.Please guide me. So since you have Monday it automatically nullifies the every day. i had to run java exe and wanted to add entry in crontab. hey check whether cron service is up and running . If thats up then check ur jdk version .First try to keep some echo statements in ur cron tab and try to write to a file .then u can ensure dat cron is working properly . is my SH file is having mistake? it never executed … why eh? anyone have experienced about this before? Is it possible to set up the corn job from one server to another server without script. Hi, could you please help me create a cron job (in php) that will check disk space every day and will send me email if it’s 75% full, and will not send me an email if it’s not. Thank you so much! i’m a new bie. I want to kill the jboss server and restart the jboss server in linux machine. Is it fine if I place the script which i have to run(a.sh) in cron.daily directory??? Do I have to edit crontab??? Yes, place your script in /etc/cron.daily/ so that it will get run once a day. If you need to run the script, say at particular time (6 pm everyday), than add it to user crontab. I need a cron job . When the script is run from commandline it is fine, but cron fails with above error. I suspect its something to do with environment variables. Is it something I should add to my cron or script to declare which directories it should include when running. I have running cron job for a while now but now recently at my work they changed the mail server to a different smtp server. How do I update the new SMTP server. I really appreciate any help…! “—– Day of week (0 – 7) (Sunday=0 or 7)” This line in the post is wrong. Its always 0-6 and never 7. If you use 7 the whole crontab file cannot be parsed by its parser. What do i have to do next to make sure that the cron is running? Because i see that the job is not running.Can you please help? hope this will help good luck. Is Crontab is only used for scheduling the scripts only? I have this message coming up any time I want to run crontab,”No crontab for root”. This is despite the fact that all my cron commands and files are owned by root. I am using RHEL 5.5 X 86_64 version of linux. Any help. please? i have a script ‘awstats-mrcomptech.com’ in the /etc/cron.hourly with the permissions 744, it is owned by root/root but it is not running, It did run at one time, so I must have inadvertently changed something, but I can’t see what I did to cause this hourly cron jobs to not run! how are the hourly cron jobs in ‘/etc/cron.hourly’ triggered to run? I can manually run the script with ‘/etc/cron.hourly/awstats-mrcomptech.com’ and it executes just fine. This is causing a problem that if I am not available to manually run the script at least once per day then the awstats for that day show 0 visits even though the apache log file show over a hundred visits. I found another post on the web that says a blank line is needed at the end of the script â€˜awstats-mrcomptech.comâ€™, I added the blank line and will now wait 52 minutes to see if it runs. i did edit that file so hopefully this will fix the problem! Yes, that did the trick, have to have a blank line for the last line of my cron file! Can someone explain to me what this script will do? It will run whatever is in the PHP script named ‘cron.php’. Since it’s named ‘cron’ and is associated with a domain and I’m assuming that the ‘domain’ is website, this script will probably doing something such as running an autoresponder, making a backup of the website or backing up the MySQL database for the website. Without the script it is impossible to provide specific details. If you would like more detailed information about this script you can send me a copy using the form on my website at http://mrcomptech.com/index.php/ask-a-technology-question. And I dont know how to configure the cron job code. Where PATH-TO-PHP is the local path on your server to php and FULL-LOCAL-PATH-TO-DOMAIN is the full local path on your server to where you have the script installed. or…can you put here example? The instructions you received for using the script are generic. They have to be because the programmer cannot know on what server OS (Windows/Linux) or what version of the OS you will be putting the script on. Are you using purchased web hosting services for your website? If so then depending on your hosting provider you maybe able to use your cPanel to add the cron job. Most hosting providers also include ‘How-To’ video tutorials for their customers. These are usually located near the top of the cPanel. If the video tutorials are not sufficient then most likely you will have to contact your web hosting provider. If you host your own server or have purchased a VPS (Virtual Private Server) then I may be able to help you more. For example PHP is usually installed in ‘/usr/bin/php’. On your own server or VPS you must have root access to setup this cron job. But if it’s not your server then you most likely do not have ‘root’ access and that is why you would need to get instructions from your hosting provider on how they have configured their servers and whether or not they allow you to add a cron job. This may or may not work. My hosting provider does not provide a video on How-To setup a cron job so if this didn’t work I would have to contact my hosting provider for instructions. On my own server for my website http;//mrcomptech.com and assuming the file cron.php were in the root of my website and assuming I wanted this command to run once every hour.. Note there is a space after ‘/usr/bin/php’. The file permission would need to be 744 so that the system can execute it. and then check to see that what it was supposed to do, it did. The script ‘cron.php’ is not a standard script, it is not something that is part of every website. So I can’t tell you specifically what your script is supposed to do without the script and any other scripts to which it it refers. I would like to schedule a crontab entry for a SAP script which should run quarterly, after every three month on Saturday (any weekend) but just one Saturday of the month. I doubt bcoz of *, this will run on every Saturday of third month, where as I want to run it just one Saturday of the third month. Could you please help me to create an entry which fulfil above criteria. This should run at 22:00 (0 22) but only if it one of the first seven (1-7) days of months Mar, Jun, Sept, Dec (3,6,9,12) and then only if it is a Saturday (6). Awesome article. Love your site, I always get excited to see this. 0 3 * * * /root/backup.sh >/dev/null 2>&1 (“2>&1” seems to disable email). I’m not 100% sure on that, but I couldn’t get emails delivered until I removed 2>&1. However the emails get sent to my server address and not his domain address. I went into /etc/crontabs but if I change it to his address then all future cronjobs that I wanted to create would go there also, correct? Not what I want. How do I change it so he and any future clients emails will be sent to their domain? Sorry if this is confusing as I am just learning. Thanks in advance. I have a weblgic server in solaries.I want to take the backup of the log files of my server after a particular period.How can i do that by using cron. The job will not run. I verified the command works when run manually, but I am new to using cron. Any ideas? Hi i want to diplay a “Hiiiiii ” in evry minute by crontab. So how to do that ? Please give me solution. Hi every on, I newbie too i want to get a buckup of a folder the file is saved in that folder, I want to know how i can compress that folder like tar and then that compresssed tar file stored on a sperate location by crontab and should done in a 1 day of the week. Your comments will be appriciated. Will you create the same folder name every time and in which ath you have to create? i need a cron job to sync data from linux pc/folder to other linux pc folder. how to add password of other pc in script file. how do I Add a cron job to send a timestamp to a file in their home directory every minute. * * * * 1 /timestamp/home/user/Documents. I’ve configured RMAN backups on daily basis like sundaay, monday, tuesday. these backup are place on PROD server. now i want a script which copy my daily rman backup to another server as , from source server A /u01/RMAN/backup/sunday to target server B /u02/RMAN/backup/09-June-2012 in current date format in which date backup was take place. Can you please send me the example of Crontab script that will backup one folder or that can automatically generate report on internet. also the steps how to do it. One job scheduled to run on dally on the basis of receiving data from the upstream environment. My Issue is data had delay one day wat ll do? I need to run the cronjob for every 15 days. the script should be executed on saturday and sunday at evening 8’o clock..
how to use special staring plz tell me any one. I want to run a cron job at 4 AM every morning to clear the /tmp folder on the server. How can I write this job? I want a add a cron job which would run at 3 AM every morning and delete all content in the /tmp folder. Can someone help me with that? I have to change my job scheduler from cron jobs to TWS, what I have to check in scripts, to ensure, there goes no wrong on shifting from cron to TWS. in the etc. I am unable to get the output. can anyone provide answer/solution. How to scheduled a cron which run on at interval of 1 day 2 hour 30 minutes? I am not too sure about cron jobs, but there are number of Freeware tools out there (such as NagiOS), which you can configure to do the monitoring of the hosts and send out alert notifications based on required conditions. I have a text file with this command and saved into the /etc/cron.hourly folder with name restartwebclient. Will this command get executed every hour? If yes, how do i verify it and if no, how do i get to execute this command line every one hour. Check crond log in your /var/log/ directory. On a CentOS/RHEL/Fedora Linux log file name – /var/log/cron. I have a vps system and I have working some job under webmin panel. I need to some script to check application while its stoped or not. if its stopeed script should be restart application again. and timely periond check. I want to run a cronjob at 10:30 pm and 5:30 am everyday. Can you tell me how to go about it? I hava a file media.sh which I intend to run daily. On running ./media.sh , an excel file test.xlsx is generated. I need to mail the test.xlsx file daily. How can I achieve this using cron ? Hi al. Most interesting. I have 3 inkjet printers with CISS. And I have Mepis Linux (KDE). As I’m going away for a month I would like to print a file called ‘test-page’ on each printer once a week to keep the print heads nice. Is it possible to start my computer with a script and perform this? (I would have to set wake up permissions in the BIOS I think) . What would the script look like . I am total newbie to bash and cron etc. Many thanks in advance for any help/script/instructions you email me. how to schedule a cronjob on 3rd saturday of every mount? I want to run the cronjob for 2-3 days, can you please help me??? This will run 13:15 (1:15pm) every 2 days starting the 1st every month. When running jobs in crontab you don’t have any paths, e.g. /bin:/usr/bin and so on, so the executable you’re trying to run, lsof and wc, and probably even echo doesn’t work. You either have to set the path or use full path in the script, eg. Thanks for your knowledge support !!!! but its not running it upon reboot. Is my syntax wrong or am I missing something? Can somebody help me with a script for restarting automatic a VPN connection using ipsec, for every day at 09.00 AM? Thank you in advance. I typed crontab -e and write my script to execute on everday @ 12:50 PM but how i check whenther script is executed successfully or not and where does i see its output? one line and they will stop working till i set them again. What will I do? Or what am i missing? Great tutorial on how to make cron easy. How to write a cron job with issue, need to start service when ever service stopped. I m a beginner just couldn’t understand the concept of script.php at the end everywhere its used, It is used as an example???? please suggest any web or any one could mail me any doc related to unix. how to create cron job to copy file one folder to another folder in server lavel. I want to create a cron job to delete the Old payload files at a NAS location that are older than some specified month/day .So can anyone please help me to how to create that job. i want to create a cronjob which run every 15min. but i want it to skip 1hr in between 4am to 5am. */15 05-03*** will this work. Next FAQ: Next post: How do I Compare two files under Linux or UNIX?